HP wasn’t the first to embrace near-filed communications (NFC) as a way for printers to keep up with the mobile world—Brother gets that prize—but it’s catching up fast. On Tuesday, the company announced the 1200w Mobile Printing Accessory, a little box that attaches to a printer’s USB port to bring NFC capability. The 1200w works with 2008-era and later LaserJet and Officejet printers (and it assumes that the rear USB port is free, because most business printers use ethernet or another connection). When it ships in early December, the 1200w Mobile Printing Accessory will have a promotional price of $40, a nice discount from its regular price of $50. The idea is that you just plug in the device and print. The reality may take a little more doing. HP says it’s worked closely with Apple, Microsoft, and Samsung to embed a printing app into the companies’ mobile operating systems. In the case of Microsoft, the embedded app is for Windows 8, but not Windows Phone. If your mobile device is not one of the anointed, you can still use HP’s ePrint mobile app—hardly a shabby fallback, though not quite as gee-whiz easy as touch-and-print. 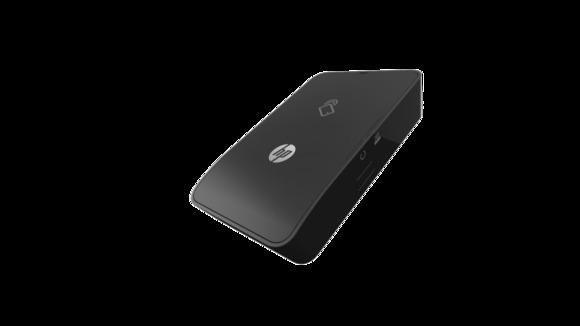 HP's new 1200w Mobile Printing Accessory lets older printers step into the modern, mobile world by adding NFC via the printer's USB port. Ready or not, businesses have to deal with employees and clients who walk up with their smartphone or tablet and want to print from it. It’s still not always easy to do—you can get tangled up in needing an app or needing to connect to a specific wireless network. 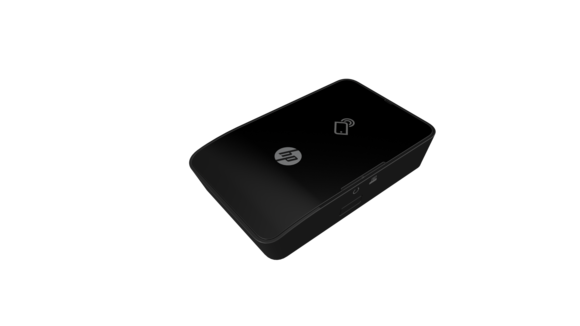 HP is also a major participant in a newly formed nonprofit organization called Mopria, which aims to create standards to ease the process of printing from mobile devices. This kind of unified effort is a big step in the right direction. Little NFC boxes like the 1200w Mobile Printing Accessory are another important part of the puzzle, readying a huge installed base of legacy printers for this new world.